This year it is the 25th anniversary of the establishment of our non-for-profit community organisation. Two return airline tickets to Turkiye is included with all tickets as the lucky door price to everyone that celebrates with us. 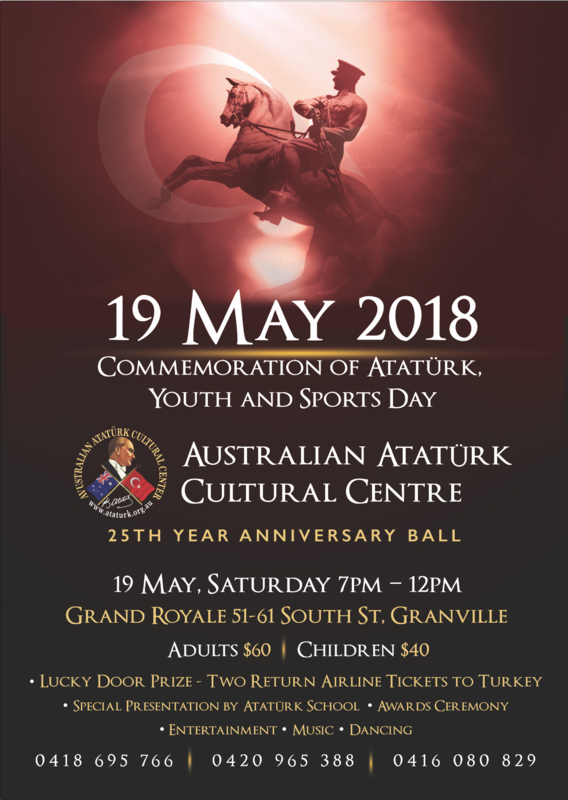 Ataturk School pupils will showcase their dancing, singing and musical talents. There will be plenty of entertainment, music and dance all night long.